Sometimes change is difficult. One of our local go-to sushi places was Matsu Yama, but unfortunately it closed down without notice. In its place sprang Ukai, another Japanese restaurant using the same basic floor plan as the previous (for all I know it's the same people). Out with the old and in the with the new or same song, difference verse. Erica and I stopped in for lunch to see how our "old" sushi spot transformed into a new Japanese restaurant. The lunch specials at Ukai are generous. There are four to choose from starting at 9.99 for tempura and California, or the 13.99 four roll special I ordered. Each special comes with soup, salad and rolls. The decor is very pleasing and well done with couch seating, lots of wood and clean finishes. This is not your local sushi shack, but a nice neighborhood establishment. Our meal was ok, good value and some good flavors. Our maki rolls were a disappointment overall lacking flavor. Even though the names are fun (local sports teams: cubs, blackhawks, etc), the fish and spices did not come through. I was also surprised with the toughness of the seaweed wrap. The presentation was nice, for what it's worth. 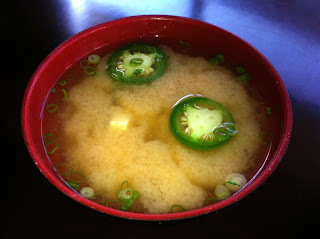 The rest of the food was pretty tasty, especially my spicy miso soup. That's a great idea. 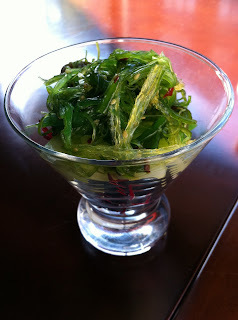 My wakame salad (seaweed and cucumber) was very refreshing, and I like the presentation in a cocktail glass. Erica ordered tempura, and we both agreed there was too much batter and not enough vegetable. 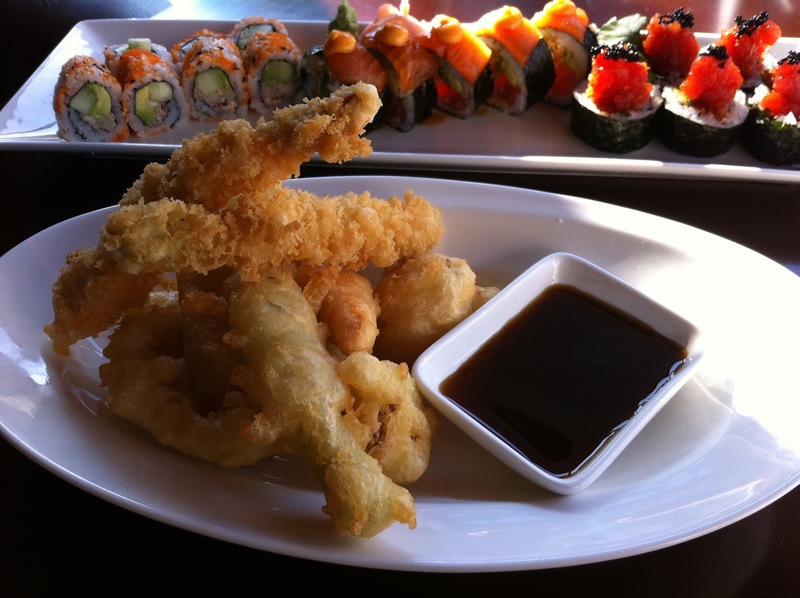 It's hard to critique tempura, it's either good or not. I want to say I will be back to explore the menu, but it seems unlikely in the near term. There are a lot of sushi and noodle spots in the neighborhood, and most cheaper or better than Ukai. I welcome the new and classy Japanese spot and it could still be a nice change of pace every once in a while.